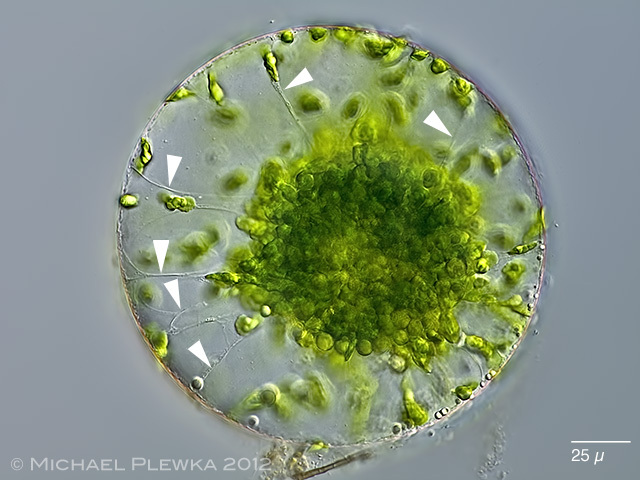 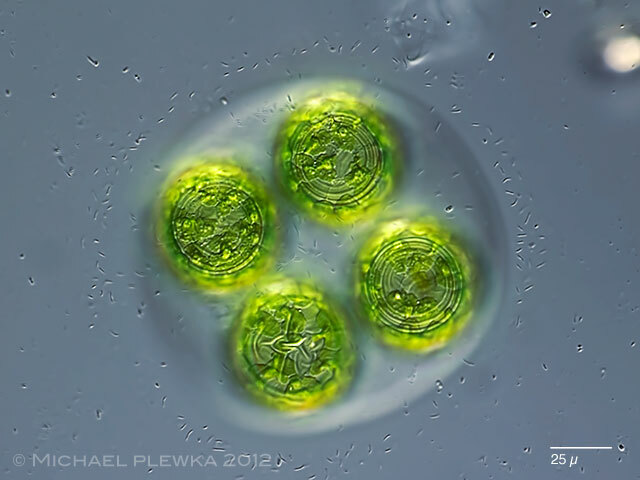 Eremosphaera viridis (2), a large single celled algae with many chloroplasts. 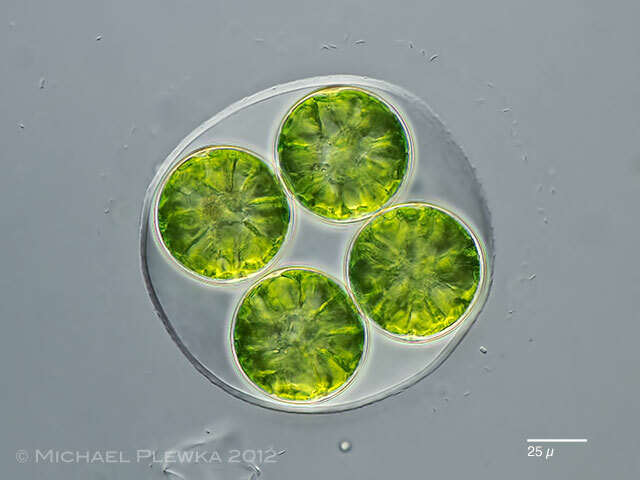 Eremosphaera viridis (1); when exposed to strong light hundreds of chloroplasts retract into the center of the cell. 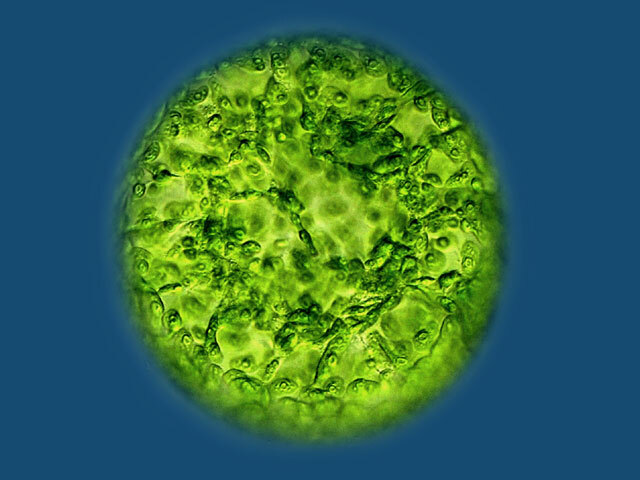 Plasma filaments (arrows) become visible.